Will we see a Microsoft Surface M device, running on Intel's new Broadwell 14nm Core M processor chip, before the end of 2014? The Core M operates at lower power levels and generates less heat. Yet it still runs Windows 8 applications at performance levels similar to existing Intel Core chips. All models in the Core M chip range have two physical cores plus a 4MB L3 cache. Speeds can by dynamically scaled for both the CPU (800MHz to 2GHz or 1.1GHz to 2.6GHz) and GPU (100MHz to 800MHz). One form factor for the Surface M would be an ultra-lightweight 10.5 inch device. Or it could be stretched out to 12 inches (like the Surface Pro 3) without incurring much weight penalty. In fact, Intel partners have already demonstrated Core M powered 12.5 inch reference tablets at Computex. One was just over 7mm thin, weighed less than 700g and yet still had a 32 watt-hour battery (the Surface Pro 3 is 9.1mm and weights 800g). So, the Surface M would be an excellent replacement for the Surface RT. And now that Satya Nadella has announced Microsoft is to focus on a unified cross-platform OS, it slots beautifully into this new strategy. With Microsoft's Surface Pro 3 sales already exceeding early predictions, a Surface M could be the perfect addition to the family. But Microsoft need to hurry. 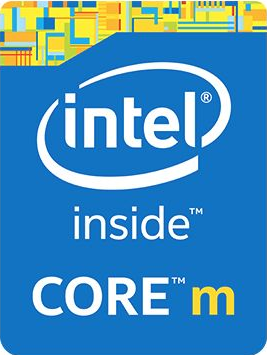 I'm sure Apple have plenty of ideas for Intel's Core M chip too. For example a new range of Macbooks or even a hybrid iPad/Macbook.